As always, please telephone or email to check availability before you travel. 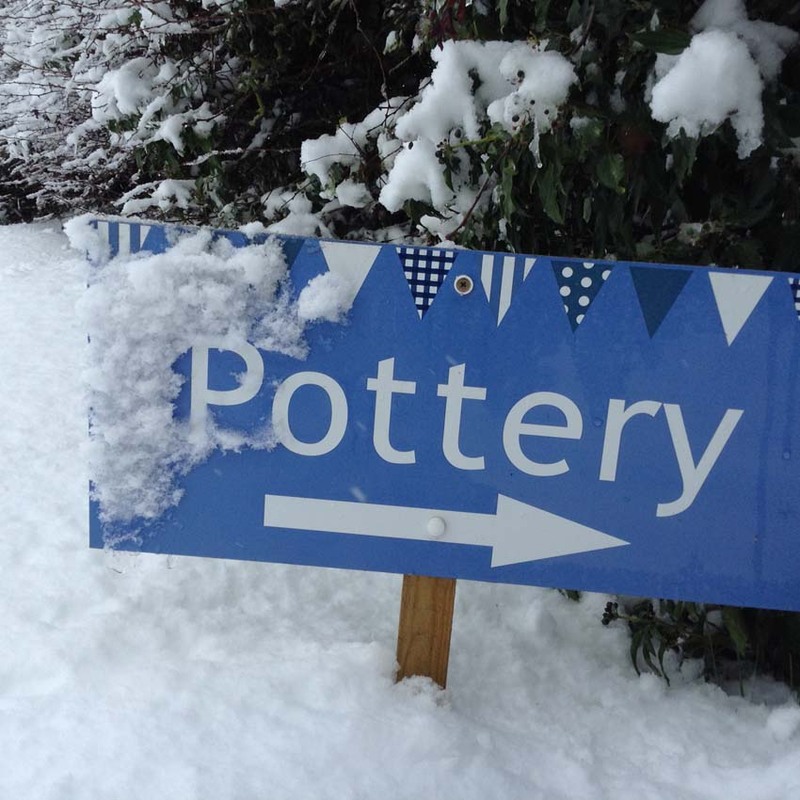 Christmas is the perfect opportunity to present a loved one or friend with the gift of making pottery! We have pottery experience vouchers in all denominations, redeemable on a whole range of clay makes and potter’s wheel courses. For example, A £20 voucher will enable the recipient not only to make a pot on the potter’s wheel but to paint and decorate it on the day. We’ll fire and glaze the masterpiece in our kiln, so it’s ready for collection from the Pottery a month or so later. Perfect for that arty family member or creative friend. ‘Making’ the Christmas office party. Judging by all the banners appearing outside restaurants and adverts in the local press, we thought it was high time to throw our hat into the ‘Christmas office party’ ring! For the past 20 years we’ve been hosting Christmas get-together s for businesses and organisations keen to try a novel and creative alternative to the pub meal. For as little as £15 per head you can experience the delights of modelling and painting soft clay. 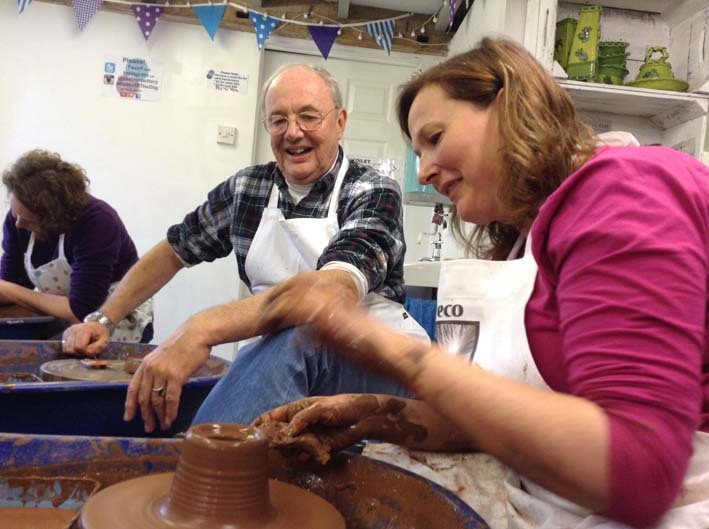 An extra £10 will enable party goers to take a spin on the potter’s wheel. Complementary fresh coffee, tea and biscuits are standard, although a lot of our groups prefer to bring alcoholic refreshments and their own nibbles and eats. We are open 10am – 4pm Tues – Sat but are more than willing to open up in the evening for groups of x6 or more participants. http://eastnorpottery.co.uk/wp-content/uploads/2019/03/eastnor_pottery_header_2019-3.png 0 0 admin http://eastnorpottery.co.uk/wp-content/uploads/2019/03/eastnor_pottery_header_2019-3.png admin2017-10-11 19:46:102017-10-11 19:46:10'Making' the Christmas office party. 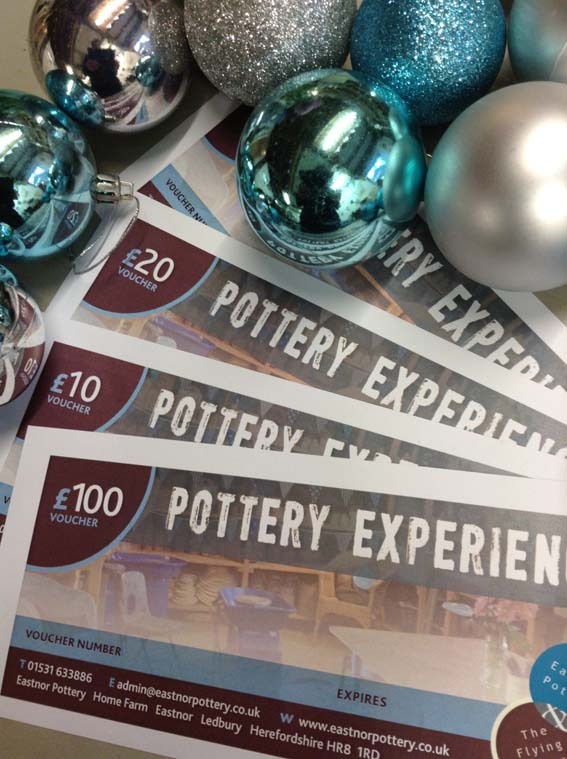 As you can probably imagine, we sell a lot of pottery experience vouchers, particularly at this time of year. 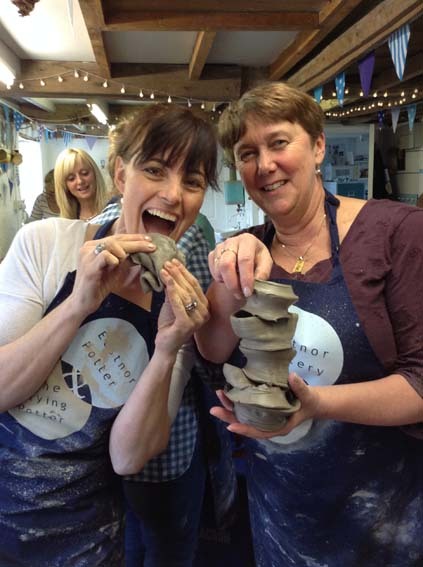 So with Christmas rapidly approaching, why not treat a loved one or a friend to an unforgettable, unique and totally creative potter’s wheel experience. It’s up to you how much you want to spend. Our days and weekends are £120 & £215 respectively. If you are after a shorter session then please take a look at our taster potter’s wheel and hand modelling projects. Vouchers start at just £20. If you would prefer to purchase a voucher online why not head over to our Pottery Gift Experience page where you can use PayPal, credit and debit cards to buy gift voucher for friends and family to use when they wish. 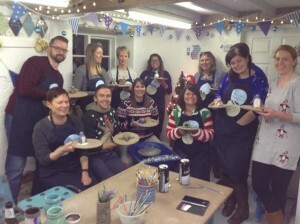 Eastnor Pottery & the Flying Potter are encouraging families and individuals who book a pottery session before the 5th December to make their very own personalised Christmas gifts. Participants will get to use proper clay and a variety of pottery making techniques, including the potter’s wheel, to create totally unique ceramic presents for their loved ones and colleagues. As long as the objects have been made by the 5th December, they will be fired, glazed and ready for collection from the Studio in time for Christmas day. Projects start at £15 and the Studio is open 10am-4pm Tuesday- Saturday. Pre-booking essential! 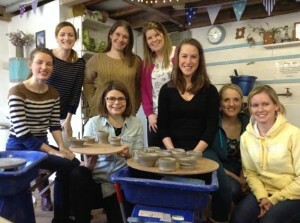 And for the person who has everything….Eastnor Pottery also offers Pottery Experience vouchers starting at just £15! 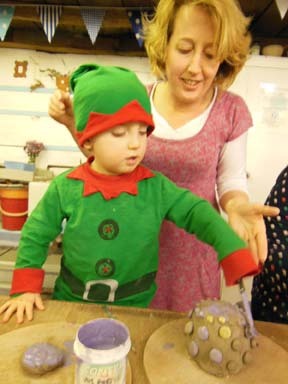 Book a drop-in session now to see what marvels you can create this winter!